Amid the turmoil after her father's death-decisions to be made, the future of the family farm to be settled-Jane Brox, using her acclaimed "compassion, honesty, and restraint" (The Boston Globe), begins a search for her family's story. The search soon leads her to the quintessentially American history of New England's Merrimack Valley, its farmers, and the immigrant workers caught up in the industrial textile age. Jane Brox's first book, Here and Nowhere Else, won the 1996 L. L. Winship/PEN New England Award. Her work has appeared in numerous journals and magazines, and has been represented in Best American Essays. She is a frequent contributor to The Georgia Review. 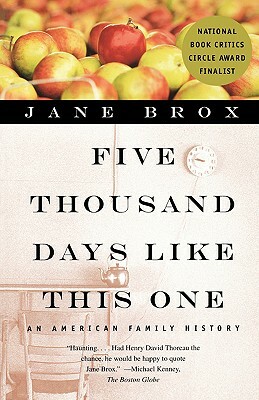 Jane Brox lives in the Merrimack Valley of Massachusetts. Jane Brox's first book, Here and Nowhere Else, won the 1996 L. L. Winship/PEN New England Award. She is also the author of Brilliant: The Evolution of Artificial Light, Clearing Land: Legacies of the American Farm, and Five Thousand Days Like This One. Her work has appeared in numerous journals and magazines, and has been represented in Best American Essays. Visit her online at www.janebrox.com.